Over 70,000 students in the Greater Pittsburgh area do not have access to basic school supplies. We are so proud to have partnered with The Education Partnership to help bring essential school supplies to local students. 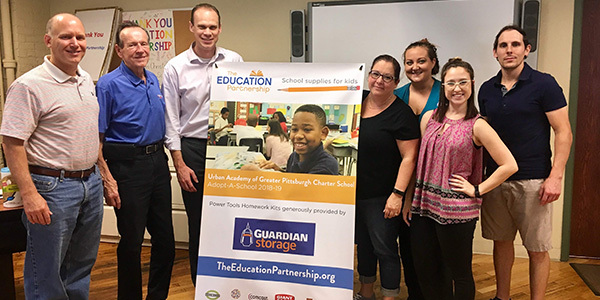 Through the generosity of our tenants and communities, as well as our commitment to education, we were able to adopt our two local Pittsburgh schools again in 2018. Plus, we were able to provide monetary and school supply donations to The Education Partnership. As a company, we feel very strongly that every child has the right to an education. In both Pittsburgh and Colorado, we support organizations that are committed to giving every local child the tools they need to succeed in the classroom. We are grateful to have had the opportunity to support the children in our communities through The Education Partnership and look forward to doing so again this year. The Education Partnership is a local nonprofit organization that provides school supplies for students and their teachers in low-income schools in Southwestern Pennsylvania. Currently, they support 45,000 students in 110 local schools by providing them with the supplies they need to succeed. 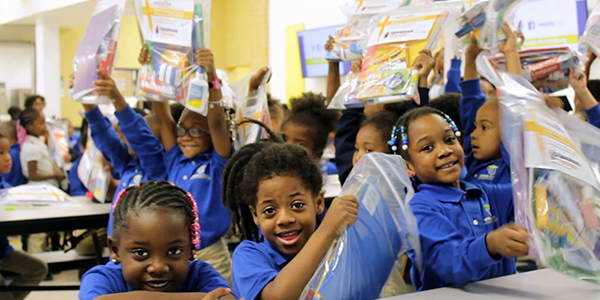 Since 2009, they have provided over $17.4 million in supplies to 130,000 local students. The Education Partnership is able to provide for so many local students in need due to their incredible operational efficiency. 94% of every dollar donated goes directly to students and teachers in the form of supplies. Schools where at least 70% of the students qualify for the National School Lunch Program can apply to be part of this program. Thousands of teachers supported by the program can “shop” for school supplies for their classroom at absolutely no expense. Once per semester teachers come to the resource center to receive approximately $500 worth of core school supplies, and often other supplies from generous donors. In 2018, The Education Partnership launched their STEAM Lending Library. This very exciting addition to their program allows teachers to reserve ready-to-use resources for teaching engaging lessons in Science, Technology, Engineering, Arts, or Math. Teachers can reserve these kits each month, allowing for lots of great STEAM exposure in their classrooms. This program allows companies, groups, and individuals to adopt a local school in need of essential school supplies. Through the Adopt-a-School program, partners build and distribute Power Tools Homework Kits to every student in the school. During distribution, partners are able to speak to the students and see the impact of their efforts first-hand. Power Tools Homework Kits are different from the resource center because they provide students with tools they can take home. These kits include things like markers, erasers, notebooks, and glue to give students what they need to complete homework and other assignments outside of the classroom. In 2018, we had the privilege of being able to adopt both Pittsburgh Clayton Academy and the Urban Academy of Greater Pittsburgh for the third year in a row. We are proud to support these two schools and the continued education of their students. 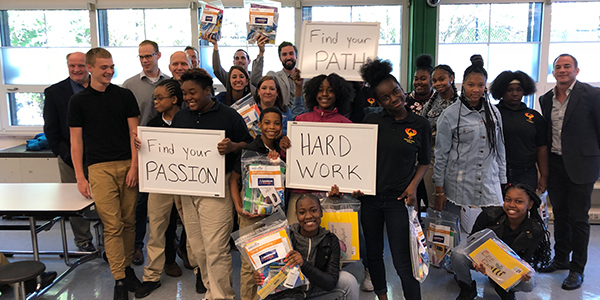 Starting in August, several of our employees volunteered their time to build the Power Tools Homework Kits that we would later distribute to the students. 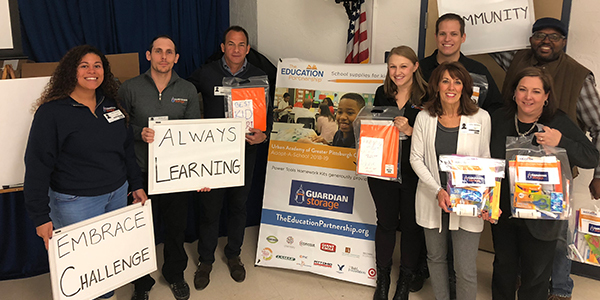 In early November, the Guardian team visited the two schools to share some words of wisdom and distribute the Power Tools Homework Kits. At Pittsburgh Clayton Academy, we shared with the students the importance of finding your passion, finding your path, and the value of hard work. It was great to hear the students share their passions with us and explain the paths they will take to pursue their dreams. At the Urban Academy of Greater Pittsburgh, we shared with students the power of community, embracing challenges, and always learning. After our presentations, we handed out our Power Tools Homework Kits to the students, who excitedly looked through them. We are happy to have been able to support the education of these students for the third year. In 2018, our Pittsburgh stores participated hosted their annual Shred-It event where we provide free, on-site paper shredding to our communities over the course of 3 days. During this event, we invited participants to bring donations for The Education Partnership. In just 3 days, our generous tenants and community members donated 15 large boxes full of school supplies. As if the boxes of donations weren’t generous enough, we also collected over $5,000 in monetary donations during the event. During the summer, a few of our stores held Community Appreciation Events to thank their local communities for their support and business. These events were free to the public, and donations were collected for The Education Partnership, as well as Animal Friends and Pittsburgh CAT. Through these events, we were able to raise additional money for The Education Partnership. At the end of 2018, our donations from the community to The Education Partnership totaled over $6,000. Thank you to everyone who helped us provide essential school supplies to so many local students in need. If you would like to help support The Education Partnership, there are a few things you can do. To get updates about any of our upcoming events, including Shred-It, sign up for our monthly newsletter.